Did you know that over half of digital marketers believe that blog content creation is the most important priority for marketing your website? You need to blog on a really regular basis. Sometimes coming up with new ideas for blog posts is too challenging. That’s why you can pass on the task to another blogger. You don’t have to pay a cent for the service either. Guest posting is all about the “you scratch my back, and I’ll scratch yours” approach. If you allow other bloggers to create content for you with external links to your website, you’ll both reap the benefits. But there’s no point generating lots of guests posts that aren’t SEO-optimized. So keep reading if you want to find out how to make you have some of the best SEO blogs on the web. You can’t cram in as many keywords and phrases as possible into your blog content. That’s the old approach. Nowadays, the Google algorithm is much wiser. Search engines are searching for top-quality content with natural use of keywords. Nonetheless, keywords remain the bread and butter of any half-decent blogger. That’s why you need to make sure you do some research into the kinds of keywords that your target audience are actually searching for. Put together a primary keyword and a few other secondary keywords for each blog post. You need to particularly look out for long-tail keywords. That means instead of “guest content”, use “SEO for guest blogs”. As people increasingly make use of voice search and smart assistants, such as Siri and Alexa, how we use search engines changes. It’s important to make sure your blogs reflect this. How do you know which keywords produce results on SERPs (search engine results pages)? You need to do your research before you include keywords in your content. You can take advantage of many keyword search tools, such as Google Adwords to discover the top-searched keywords. You can also find out the top keywords to use by checking out your competitors. What kinds of keywords do they include in blog posts? Do you want to find out more about digital marketing? Check out Pondstone Digital. What’s the right number of words for your blog title? There’s no exact number for the number of words you should have in each blog title. However, research shows that titles with between 6 to 13 words generate the greatest amount of traffic. Most online users will read the title before any of the content. If you have a lazy or confusing title, you risk losing the user forever. You need to be able to connect with your target audience immediately. 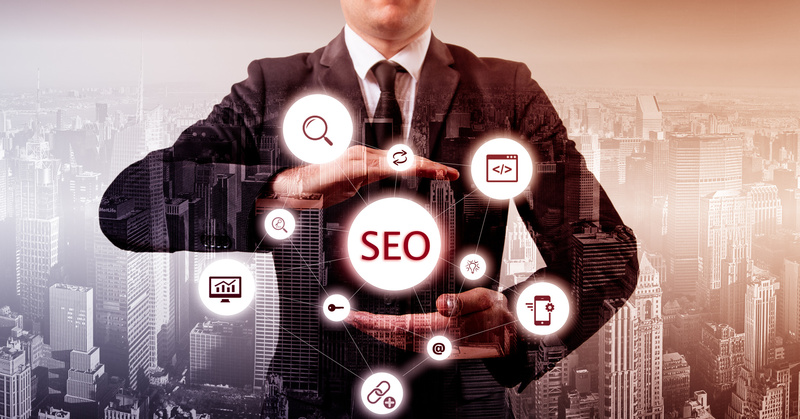 But if you’re producing an SEO optimized blog, you also need to make sure you include your primary keywords in the title of each blog. You also need to include your keywords in the URL. Your URL also impacts your SEO ranking on Google. That means you always need to customize your URL for optimization on Google. Again, you need to take advantage of the keywords in your headings in each blog post as well. Google’s algorithm recognizes headings before the rest of the content. While you don’t necessarily need to include your primary keywords in the headings. You can always include your secondary keywords. Did you know that your image always has a text? It’s always good to include images and videos on your blog posts. This provides users with a variety of different kinds of content to engage with. However, don’t forget that there’s more to the image than meets the eye. You need to make sure you include any other keywords in your image name too. For example enter the following: blog.jpg. Link-building is the cornerstone of any effective SEO strategy. By including guest posts on your website, you provide yourself with a valuable opportunity to increase the number of internal links to other blogs. Convincing other website owners to link to your website isn’t always easy. That’s why you make alliances with other bloggers with guest posts. That way you can include a link to someone else’s blog in return for the same for your blog. But internal links allow you to find connections between a guest post and a previous blog post you wrote. This way you ensure that you maintain the interest of your target audience for a longer period of time. Your meta description is the text displayed on the SERPs under the link to your website. Strictly speaking, the meta description does not impact your ranking on search engines. However, it’s an important part of convincing users to click on the link to your website. And you guessed it – use keywords! It’s also important to remember not to go over the 300 words limit. Anything over 300 words won’t be displayed on Google results page. If you’re producing a few blogs every week, your quickly going to build your portfolio of blog posts. That’s why when users navigate your website, they need to be able to find what they’re looking for. If they can’t immediately find the topic of choice, they might go elsewhere for the information they want. That’s why you need to include tags and categories that reflect what your users want. You can also include keywords in the tags too to make it easy to find on search engines. There’s no easy and cheap way of producing one of the best SEO blogs without a bit of hard work. You need to make sure the content on your website is top quality. That means it needs to be unique, relevant and engaging. If you’re just cramming your website with boring and irrelevant content. What’s the point? Even if you have a top quality SEO strategy, nobody’s going to read trash. Now you know how to make sure your guest content is fit to be on the best SEO blogs in the niche. Your blog is one of the best ways of boosting your SEO rankings. Sometimes, it’s impossible to create the content on your own. That’s why you can benefit significantly from a helping hand from other bloggers. If you have a question about how to make sure your guest content is SEO optimized, leave a comment below!